KIMBERLEY Jones never thought she would be in this situation. At 45 years old, the single mum with four kids living at home had just started working towards her dream career, and she was facing the very real prospect of becoming homeless. "It was scary. I was thinking I'd be living in my car by Saturday or something ridiculous. I was scared," Ms Jones said. 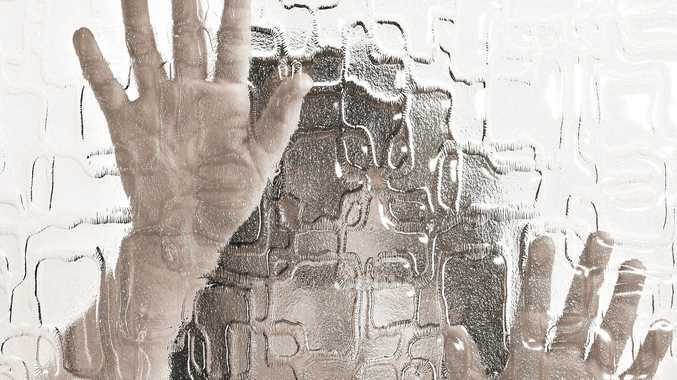 As Ms Jones stared down the barrel of moving her children into her Mitsubishi Pajero, or splitting the family up between friends' houses, it may be tempting to imagine drugs, alcohol or unemployment were to blame, but that was not the case. Ms Jones and her children were simply the victims of an oversaturated, high demand rental market. "I applied for at least 20 houses," she said. "I went through every real estate in this town (Kingaroy), and I went over to Nanango. 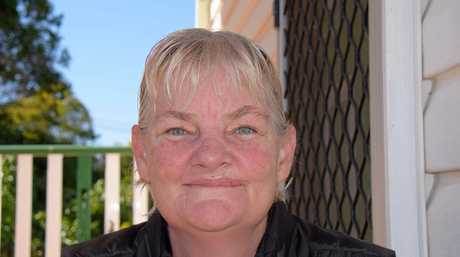 "Every waking minute I had, I was looking for a house but it was knock back after knock back. I just couldn't believe how hard it was." Ms Jones was given eight weeks' notice to move out of the house she and her children had rented for more than five years. This is standard practice in the real estate industry, and eight weeks should be plenty of time for a hard-working mum to find a place for her kids to live, but that was not how things played out. "It was two months of slogging it out trying to find a house," she said. "With two girls and two boys, I was even looking at two bedroom places with a rumpus room or sleep out," she said. "Every day I was looking at three or four houses." 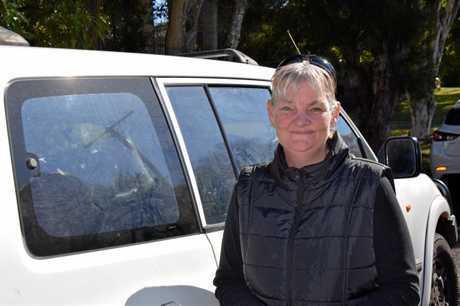 Ms Jones said she was doing everything right - broadening her search and rental range, looking at towns outside of Kingaroy and being prepared to make do with what she had, but still she could not find a place. As an apprentice baker at Woolworths, and with four children in school in Kingaroy, moving too far from the town was not an option, but she was willing to look. "To score an apprenticeship at 45 years old, then have the prospect of being homeless and having to give it up, it was too much," she said. The stress of the situation began to wear her down, and started to get to her kids. She was losing sleep, and her children were losing hope. "I spent nights crying. Just the fact that we had nowhere to go. I didn't want to do that to my kids," she said. "They're old enough to understand, but they're not. Sometimes kids have a way of thinking it's your fault, when in reality it's not." Ms Jones took to social media, posting on Facebook groups, crying out for help to spare her family from homelessness, but nothing substantial came through. "It's so stressful. Your whole life's turned upside down," she said. "Everybody tries to help and there's nothing anyone can do. It's up to the real estate and the owner." Ms Jones said she struggled because, as a single mum on an apprentice wage, she could not compete with applicants chasing the three and four-bedroom homes she needed to look at, to house her family. 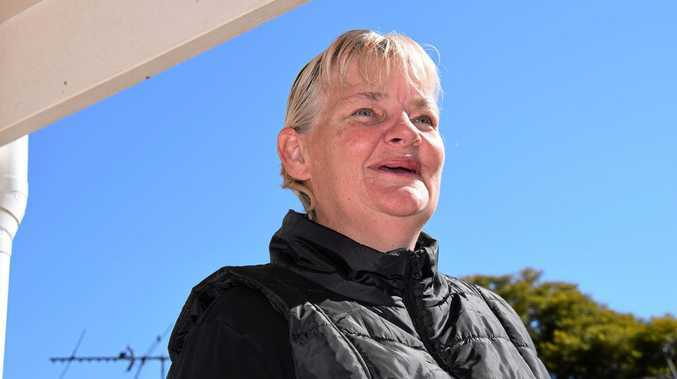 She was told that rent should sit at around 30 per cent of income, which put many properties out of her price range. One house, she was told, had at least 10 applicants, putting her out of the race. "They just kept saying it's the owner, and the owners don't have to give a reason," she said. "I think it has to do with the fact there's so many people looking for houses and it goes on 30 per cent of your income. Because mine's the only income, whereas if there's two workers, they'll have more income than me. I think that was one of the hardest things. "It's a real problem and it needs to be addressed." 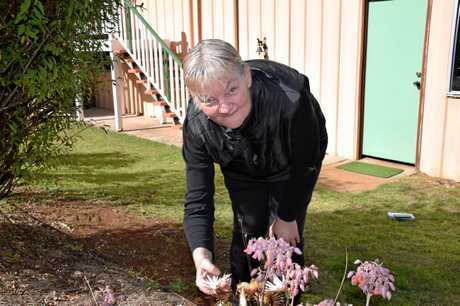 At long last, mere days before her lease was due to run out, Ms Jones found a four-bedroom home in Kingaroy. She said it was like being a ten-tonne weight was lifted off her shoulders. "I was just lucky. I'd never gone through something like this," she said. "When I found out, it was a relief, trust me." Janelle Baisden-Emmett from Trent Faunt Real Estate helped Ms Jones find the house. She said many renters were struggling to find houses at the moment. "The rental market, there's a very high demand for rentals and there's very low stock," she said. "We're getting anywhere from up to four to five for each property. It's quite surprising. This time of year it tends to slow down." Ms Baisden-Emmett said real estate agents and owners would never discriminate against applicants, and it simply came down to a numbers game. "There are so many applications and owners are making decisions based on what suits their needs," she said. "If you've got four nominations sitting on your desk and they're all comparable, it comes down to first in." She said Ms Jones' happiness made her job worthwhile. "We're really pleased, Kimberley was so ecstatic, and that's what I'm in the business for," Ms Baisden-Emmett said. Ms Jones encouraged anyone in a similar situation, struggling to find a rental property, not to give up. "You need to keep trying. You need to keep you head up, get up every morning and say 'today's the day I'm going to get a house'," she said. "You need to keep going because eventually you will get a house, like I did. But you've just got to keep putting yourself out there. Anything you think you can use, do it." As for her kids, Ms Jones reckons they're proud of their mum. "They are proud. They reckon their mum's a tough cookie," she said.